As previously noted in the blog, the Tissandier Brothers flew their Siemens-powered electric airship in 1883 using a flow battery of their own design for energy storage. This technology gets a lot of attention for grid-based energy storage, but might have use in more mobile applications. Nano Flow Cell Technologies in Switzerland, for instance, used different salt waters to power their Quant and Quantino automobiles. Howard Handelman, a regular reader of the blog, shared the following two researches into modernizing flow cells. 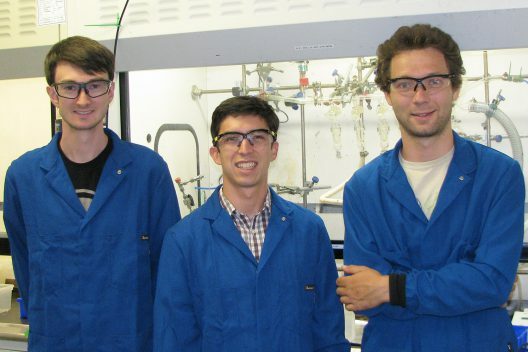 Stanford and Harvard researchers both cooked up different ingredients than one would normally find in a flow battery. Both groups achieved better than average performance and longevity. 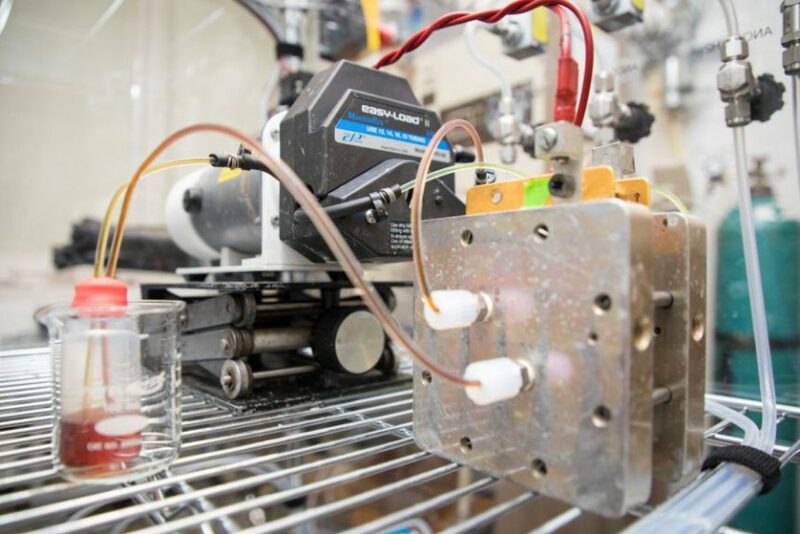 Stanford’s battery uses liquid metal that more than doubles the maximum voltage of conventional flow batteries. Things happen at normal temperatures, unlike flow batteries that need extremely high temperatures. The metals used are low-cost and non-toxic, unlike the dangerous fluids used in other flow batteries. 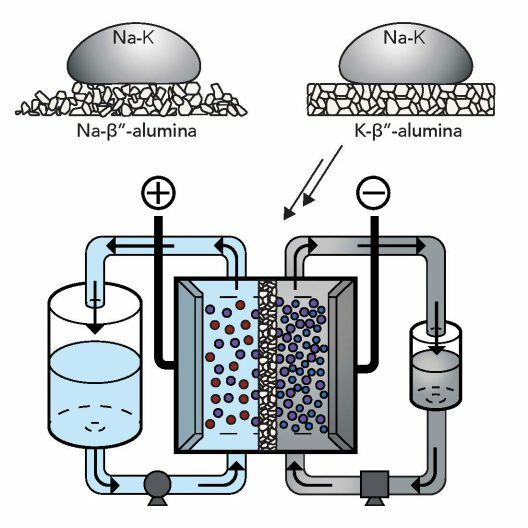 The group found a suitable ceramic membrane made of potassium and aluminum oxide to keep the negative and positive materials separate while allowing current to flow. They continue their work, looking at different membrane and liquid materials. Obtaining more than one Volt from a flow battery is a big breakthrough, but usually means accepting a short-lived energy-storage unit. Laboratory experiments show the Methuselah molecule had a fade rate of less than 0.01 percent per day and less than 0.001 percent per charge/discharge cycle. This means less than 3 percent degradation over the course of a year – and years of useful operation. 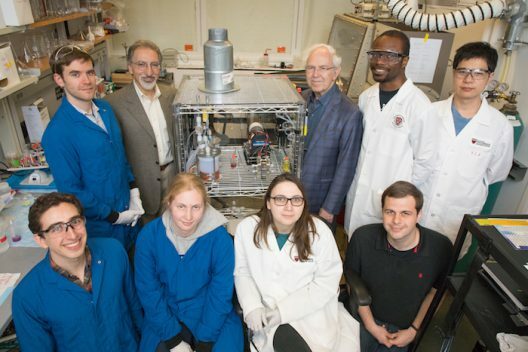 Potentially safer and, less expensive than lithium-ion batteries and vanadium flow batteries, the Methuselah battery would be a viable alternative for large-scale energy storage.